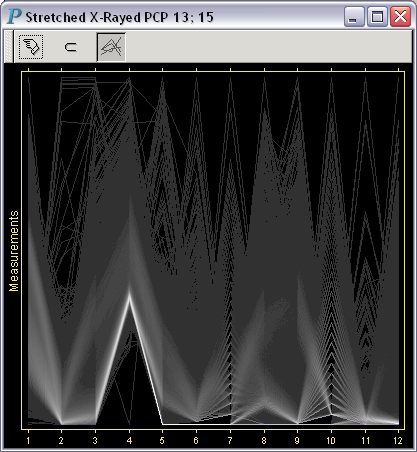 This is a copy of the stretched parallel coordinate plot in Fig. B that has been "X-rayed." Notice the x-ray like appearance of this plot: areas with more overstrikes show up in a brighter shade of white than areas with fewer overstrikes.